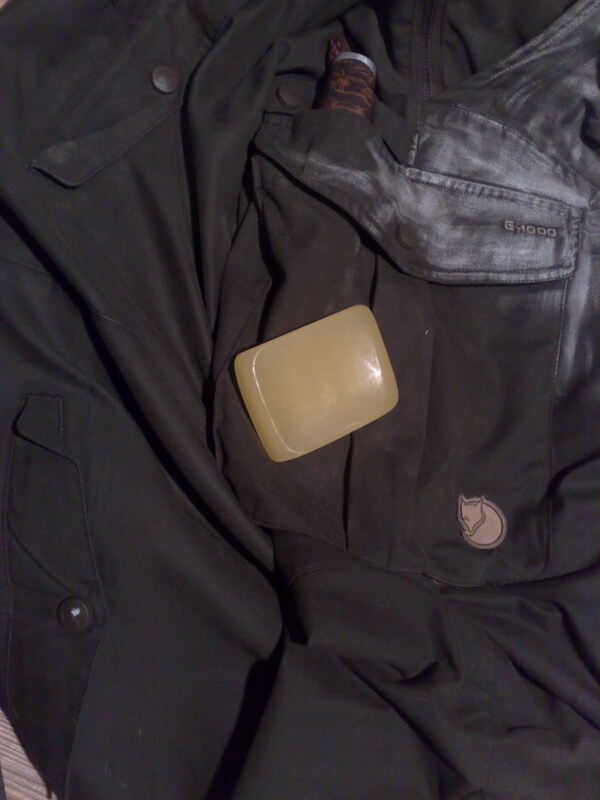 Fjällräven Chap G1000 trousers & Greenland wax. As the fall is here,a nd its pouring water daily and i think ill be gettin wet all the time over the coming weekends hunting trip i got my self a new block off Fjällrävens Greenland wax that i just love. Easy to add by rubbing on followed by gentle melting it in the cloth with heat from hairdryer and such. I dont use any Gore-Tex jackets nor pants, as i dont have the fund to get any and i am afraid that ill break em immediately somehow, most likely id end up having a hole in the cloth made by campfire spark. That would not be cost effective and i rather sit by the fire than away from it. BUT, if you run a business selling & manufacturing Gore-Tex clothing, you have em in Big sizes and in natural colours that blend in forest, i be happy to try out em, if they would make me see GT in different angle. I sure would not turn away a pair of some cool Optifade gear ;). Well in any case, i am now rubbing in a heavy layer of this wax, and i am pretty sure i wont be disappointed, after using this wax for years. 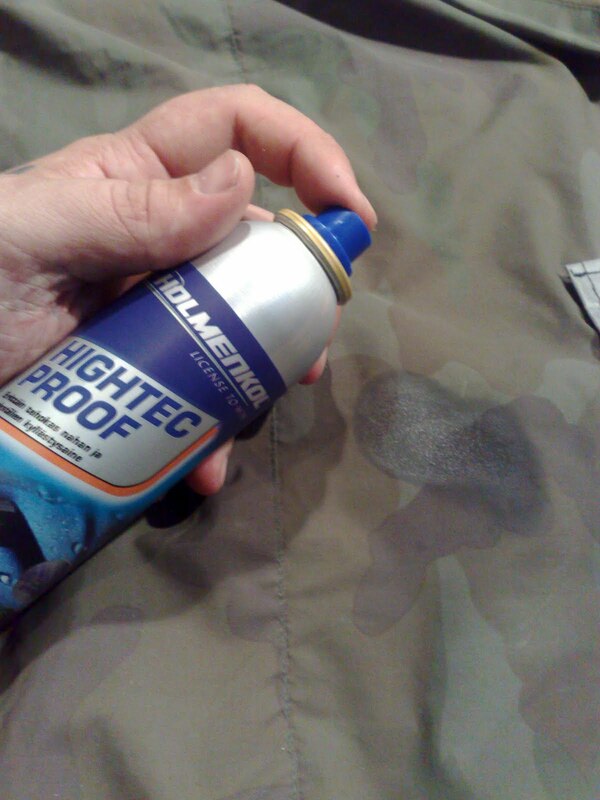 I dont expect any 100% water proof at all, as i rather have a breathing and wet clothing than non-breathing totally waterproof clothing that will get wet inside anyway due to my heavy sweatting:). 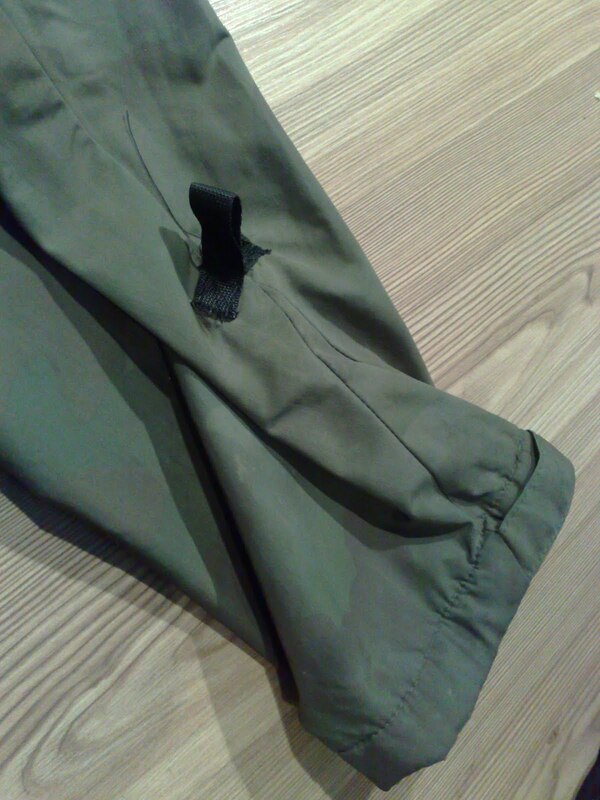 I am pretty happy tell that the Fjällräven trousers that i got some time ago, are working like clock. I was bit suspicious for some reason but i havent disapponted at all. 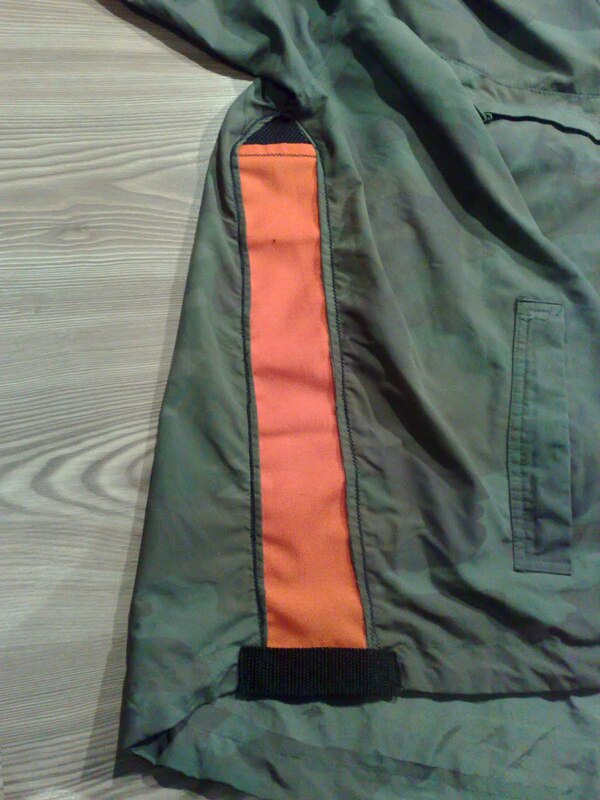 The size and form are just in the spot, i havent breaked any zippers nor lost any buttons. The only small fails are the breakage of seam under front zipper, the 5 cm long one. 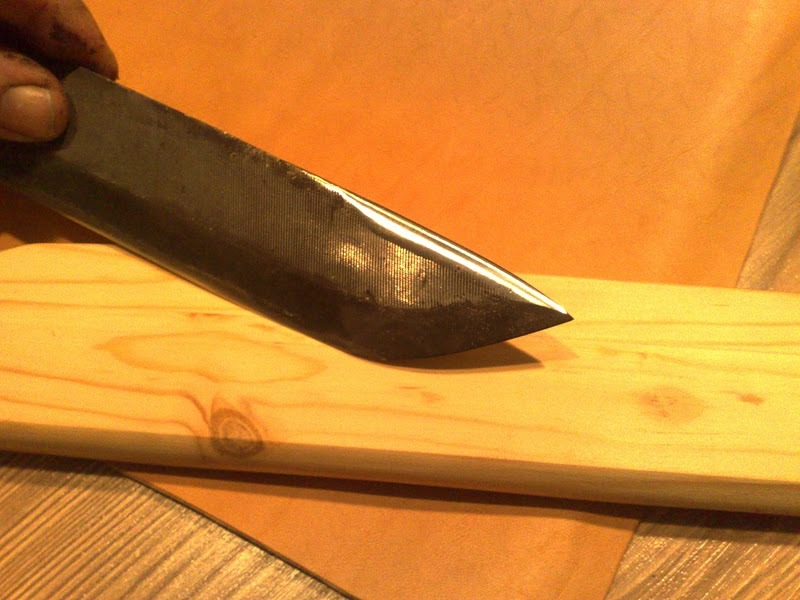 But i got it sorted out, with stronger seam. The other was my own fault,kind of. The other backpocket,has a zippered pocket covered by flap with pressbutton. 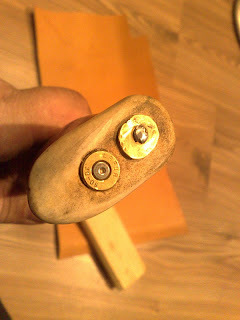 I got the zipper puller somehow stuck between boards while sitting,and when i got up from bench, the puller snapped off. It was only bent and opened,nothing had breaked,and i just put the puller cord back, pressed the zippers opened loop close with multitool and its been working well after that. G-1000 fabric i have found earlier to be awesome stuff, its very rugged, but not that heavy and its spark resistant as plain cotton,but it dries a bit faster than pure cotton. 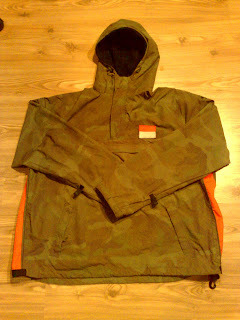 Few mods to "old" Mil-Tec camouflage anorak. an Iǘe had this old worn cheapish anorak made by Mil-Tec, hanging un-used in my closet for some over 2 years. 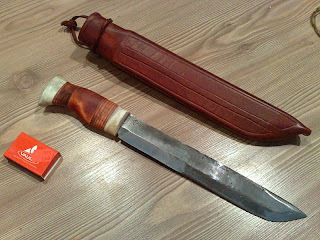 I found it again when i was gathering stuff for flea market and decided not to throw it away. It serviced me adequetely(?) 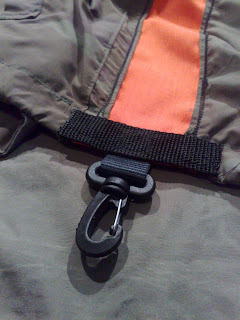 but i think i kinda forgot it, when the stretchy adjustment cords gave up at winter,as all the rubber does. the camouflage in it never had a strong colours nor contrast, and now when its worn its even more calm. May that be good or bad, i donno. 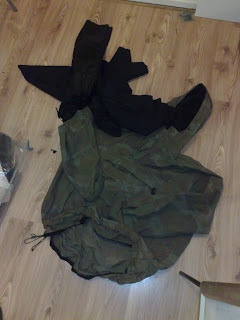 So, i started by ripping and cutting away all the fleece lining it had. Ive never been the biggest fan of fleece, although i understand that this garment was designed so that the outer nylon layer protects from light rain and blocks the wind, and the fleece jacket inside is to keep user warm. But as i am a sweatty pig, and i rarely feel cold no matter the time of year, i sure would like to have an anorak and a freedom to choose, whats under it,may it be separate fleece shirt, or just a t-shirt or what ever. I left fleece only to the hood,not so much for keeping my head warm at winter if i lose my cap,but to keep the damn hood silent. 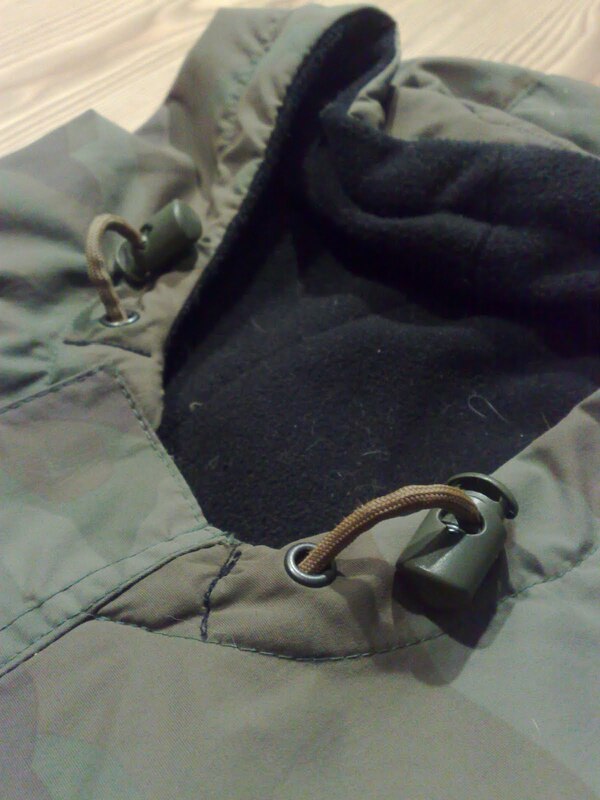 I cant stand the noise that bare nylon hood keeps while moving. 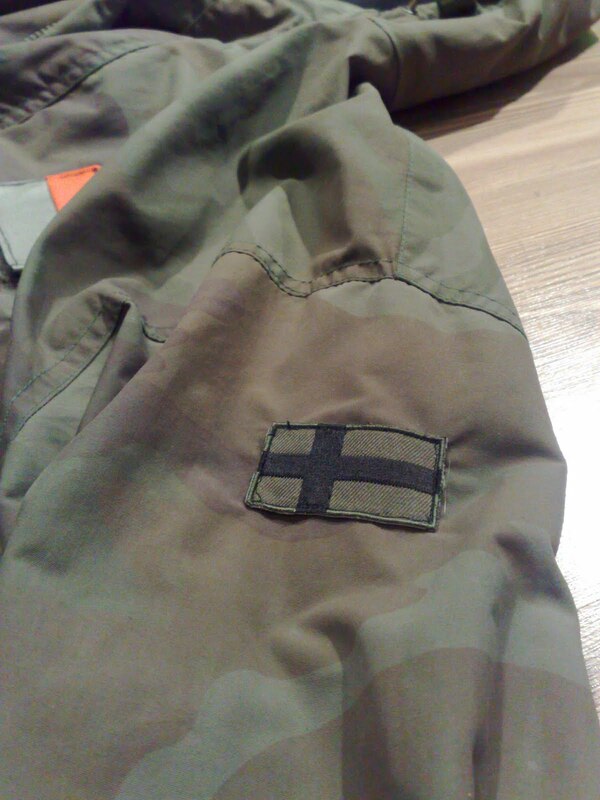 Next thing i got to do, was to modify the chest pocket a bit. It was originally just one big space,but i stitched it more, making one slot for small knife sized object,one small for pen and then i made the rest of the pocket smaller too,i mean more shallow as it was so deep. So,now it has some organized space. I dont need to have a one major pocket in anorak as i dont stuff my canteen nor axe in it,maybe just a compass,folded map,firesteel,keys too. For keeping the vitals secured , like method of fire making and keys, i made a simple paracord lanyard with a stainless clip in it. I stitched it into the end where the zipper is in closed position, so i can easily have the lanyard hanging out and have the pocket closed, if i need to hand a flashlight outside the pocket or similar. 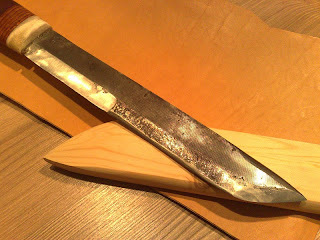 After that, iCut open the sideseams under the armpits, and thought that id add a few pieces of mesh cloth to have more sweat ventilation under arms but i ended up opening the entire sideseams. 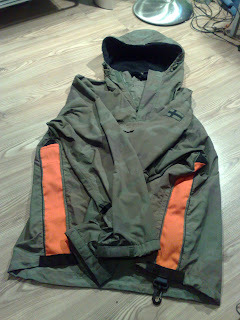 This was to make the anorak bit bigger, so i can use woolshirt and other thicker stuff under it. 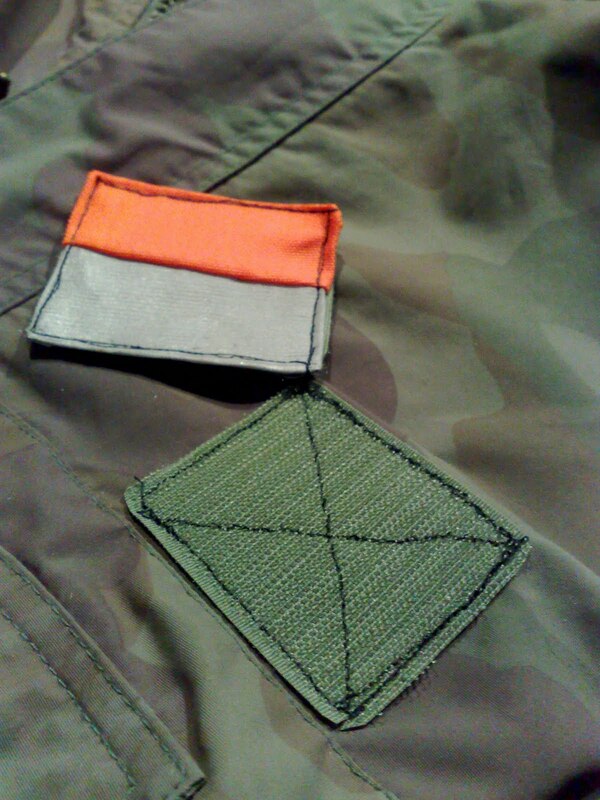 I didnt have any camo cloth anywhere but i remembered that i had a small piece of PU coated blaze orange Cordura somewhere, found it as used it to make these bit under 2" wide side strips. They dont even look so stupid dont they ? 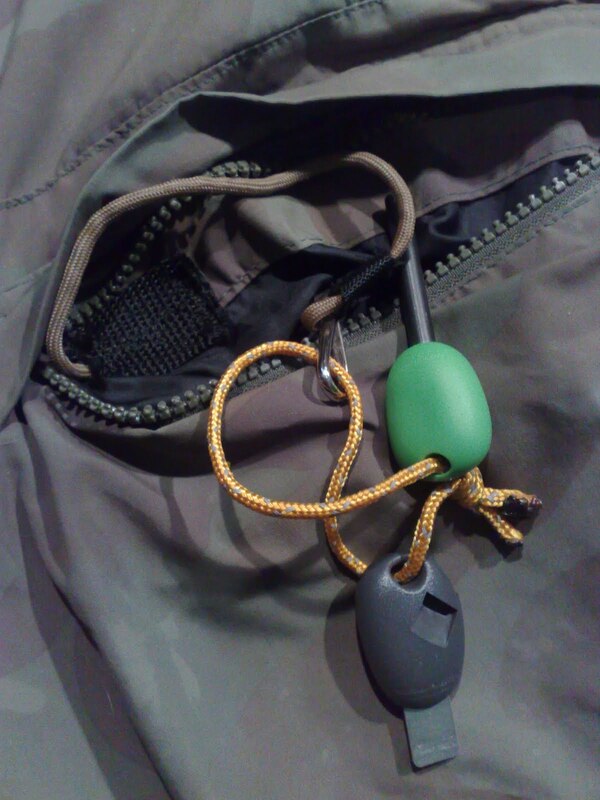 and those give a bit of needed visibility especially during hunting season, and such. I think they wont be so nasty in eyes of game either as they are visible from sidewiev mainly, dont if you look straight towards me. At the nd of orange pieces i added these mesh cloth pieces to make triangular shaped ventilation thingys. yep, my seams are what thet are but i think they will last anyway, may they look ugly or not. I admire few individuals that have the skills to make cool sewing projects that look like made in factory but i cant and my fleamarket sewing machine aint the most professionally working either :). Then i added two simple loops. One per sleeve end, so i can attach my mittens or gloves to the sleeves so they dont fall in to snow while taking a piss while ski'ing or drop em to river while paddling etc. Its far easier to have the gloves hanging from sleeves that trying to pick em up from deep snow if the ski´ s are on your feet, trust me. To the right hand sideseam i decided to add onerotating plastic clip with stainless gate spring, so i can maybe hang something light if i need to. Like my furhat if its in the way or kuksa etc. 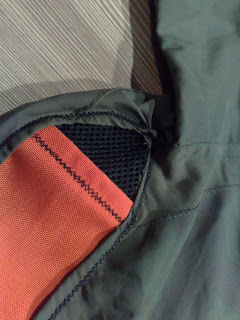 I ended the seams lower end with strips of nylon webbing to reinforce them...and yes,to make em bit easier to look :). 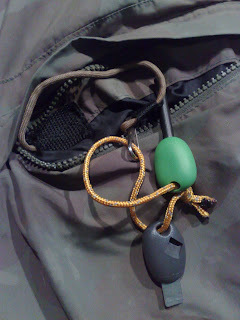 I switched the dead elastic cords with coyote tan paracord piece. That lives thru winter im sure. To backside i stitches a small piece of velcro and made an removable "see me if needed" patch from reflective cloth and blaze orange Cordura. And a similar to chest too. 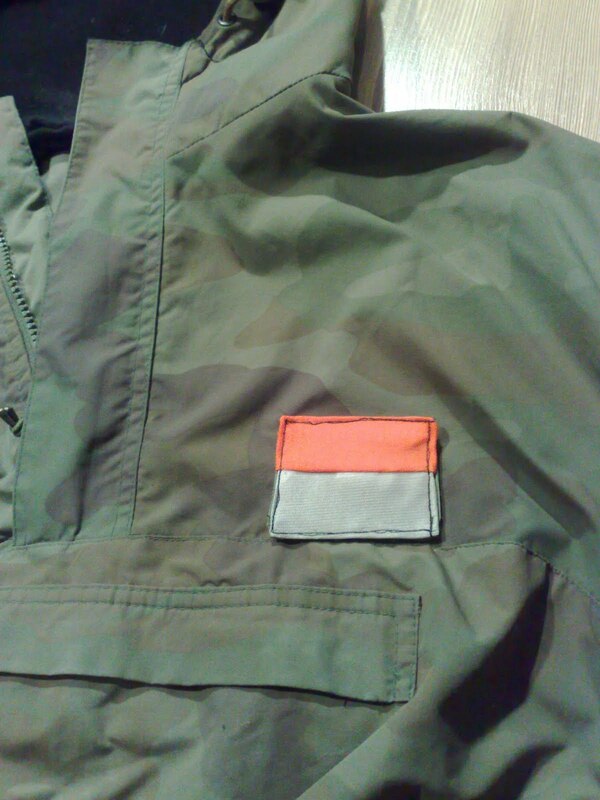 These are removable so i can camouflage me a bit better or have me seen if i want to. It doesnt make me unvisible sadly !. These patches might be at their best in dark winters especially when its pouring snow. We have reflective patches and all, with head lamps, and it sure makes a difference when you ski or walk with others in fog etc, and these patches flash when you scan for them with a flashlight. In heavy snow you easily get lost you know if you go to fast or slow and lose the others. And on hunting, its way cool to have a visible small patch in your back so others may shoot you so easily :). To left side sleeve i stitched a small used subdued Finnish flag to cover small hole and i think it looks pretty neat. For this time, i was ready. I am pretty sure ill be trying to make an water resistant venting to backside too and adding a hidden backside pocket for seat pad. 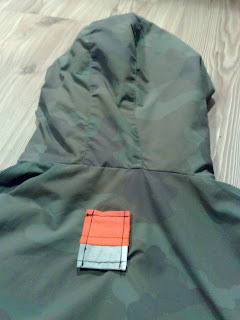 But now, i just sprayed the whole anorak with Holmenkol hightec proof that i am testing to see if it works. Ive heard it does but i want to see it myself too. 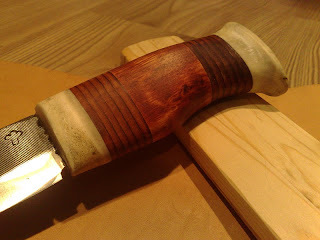 Thats about it for now, il be using this tomorrow and over the weekend and then i know was it worth the effort at all.